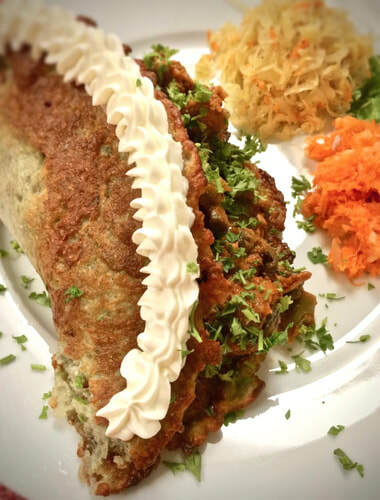 Here at Smak Tak we take pride in the quality of the ingredients used for dish we make. If it’s not perfect and made just the way you ordered it, we won’t send it out. We guarantee that every meal delivered to your table is the best you could have ordered. No good dinner is complete without that refreshing taste of Polish Tymbark Juices and Nałęczowianka Sparkling Water. 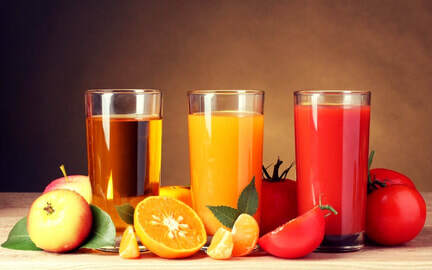 We have over 10 kinds of Tymbark juices in stock. We do not serve alkohol but we will be glad if you bring something with you. We are BYOB. 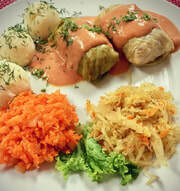 ​Our menu ranges from old school polish dishes to some mind blowing custom meals, all of them are Home Made. Our potatoes come fresh from the most awesome places in Idaho. We only use the best possible oils to fry them. 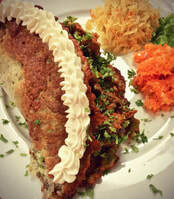 No soggy flimsy pancakes here, we serve only the best. 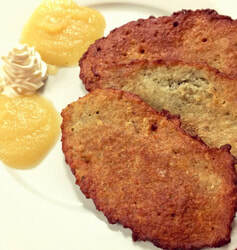 ​Crisp and fresh pancakes combined with our special seasoning and salt. 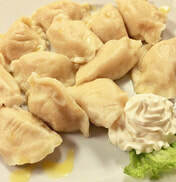 ​Come give us a try and see what everyone in Chicago is talking about our polish food. 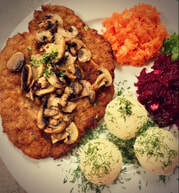 So stroll down, have a seat, and experience the best polish food in town.